Breaking news! Today, the Boston City Council unanimously passed the Puppy Mill Bill sponsored by City Councilor Matt O'Malley, who worked tirelessly for this result. 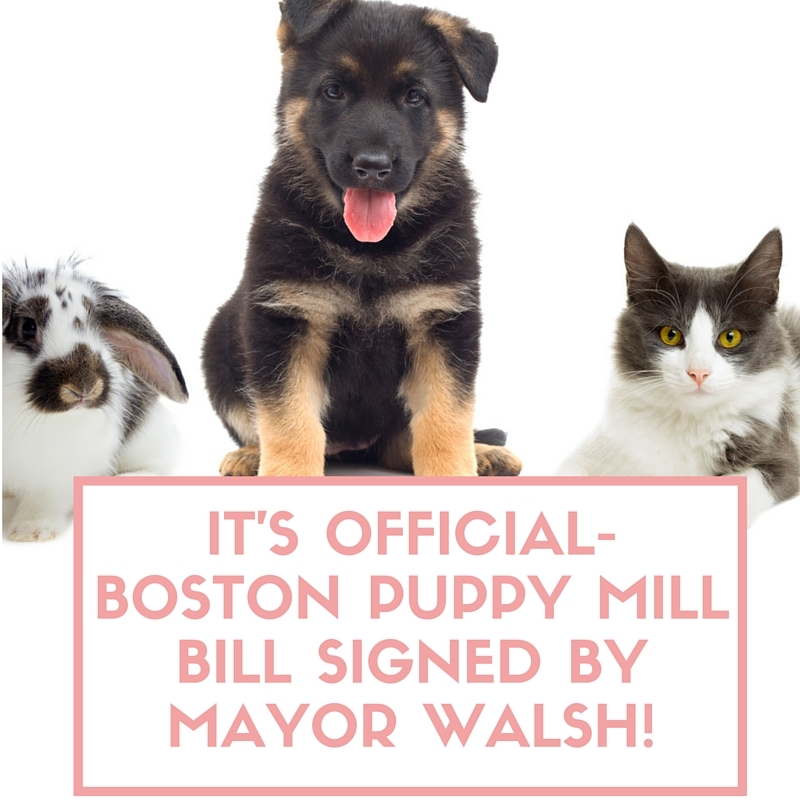 Mayor Marty Walsh has now also signed off on the measure, which prohibits pet shops in Boston from selling cats, dogs, and rabbits, and prohibits the sale of these animals in public parks, roadsides, and sidewalks. This ordinance is the first of its kind that has been passed in Massachusetts and we hope it won't be the last! Could you please take one minute to send an email to your city councilors (you can look them up here) personally thanking them for passing this ordinance? Thank you for all your calls and emails to your city councilors -- YOU made this great change for animals happen! We are so grateful for your continuing support fighting for greater protections for animals. Additionally, if you are not already a part of our Animal Action Team that helped make this happen, you can sign up here to get information about events, updates on legislation, and more. You can also follow the Animal Action Team on Facebook here! The Mission of the Massachusetts Society for the Prevention of Cruelty to Animals is to protect animals, relieve their suffering, advance their health and welfare, prevent cruelty and work for a just and compassionate society.